For power plants that require units for boiler make-up, blow-down treatment, or other process requirements, H2O Innovation has multiple references in the power industry as well as in other industries where steam generation is required. With our extensive experience using coupled UF & RO as well as double-pass RO systems for high-purity boiler make-up requirements, we have the experience for your steam and power generation requirements. Our portfolio of solutions also includes a large installed base of multimedia filters, softeners, mixed beds or electrodeionization, all of these specifically designed for power companies’ industrial demand. 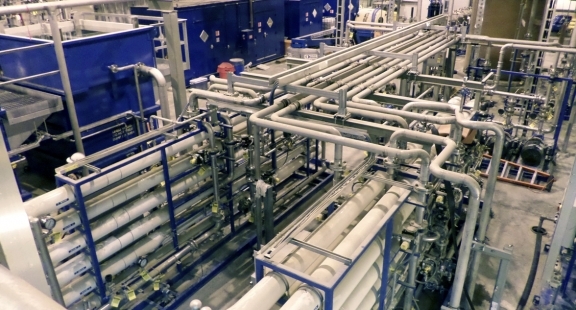 Your unique problem requires a unique solution based on footprint, water quality, membrane replacement considerations, and operational constraints. The solution comes from a thoughtful assembly of individual unit process operations to achieve your end goals. Below are the most common technologies H2O Innovation relies on in the Power Generation market. 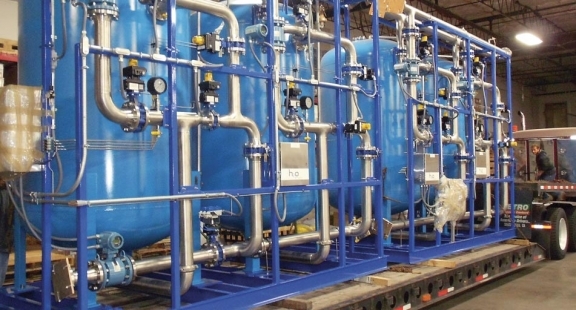 Ultrafiltration and microfiltration are used to remove colloidal matter as well as reduced metals and color when associated the appropriate pretreatment. In most cases, they offer the ideal pretreatment to reverse osmosis. Multimedia and greensand filters can be used as stand-alone systems to primarily remove particulate, iron, and manganese. They can also used as part of the pretreatment chain in front of reverse osmosis.